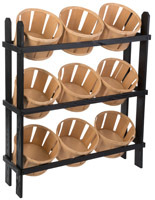 These 4 tier basket stands with wheels are perfect for merchandise bins in retail locations. 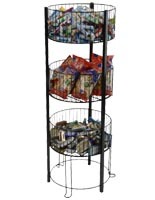 The 73" tall stands come with 4 bins for storage. 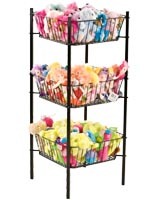 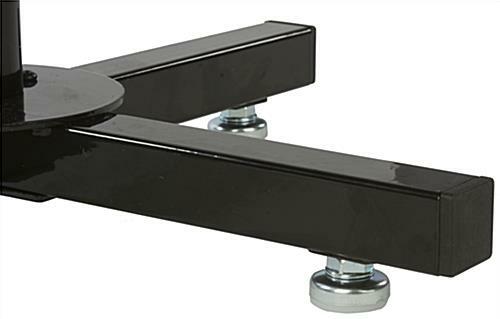 Each black, wire basket stands are designed to be fully portable with the use of the rolling and locking wheels. 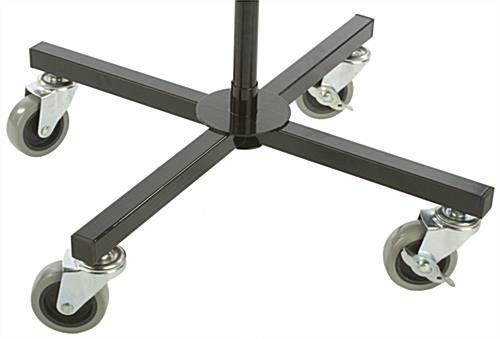 Each tier can spin on its own which promotes berowsing! 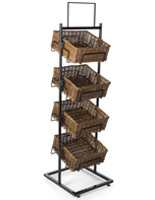 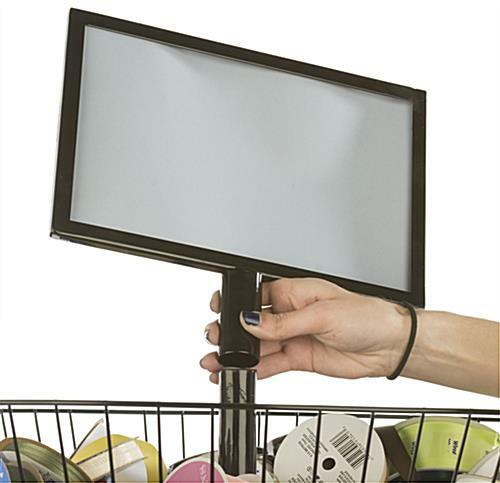 The basket stands make a unique display for varying products and allow customers to sort through the bins with ease. 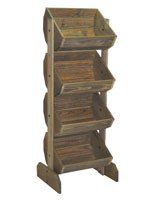 22.4" x 73.1" x 22.4"
22.4" x 4.6" x 22.4"
11.0" x 9.5" x 1.0"